We support our clients with consulting services. We advise which solutions will be the most effective for specific business purposes. We help you choose the right technology for your project and offer deployment and further support and assistance. We do not leave you in the dark. 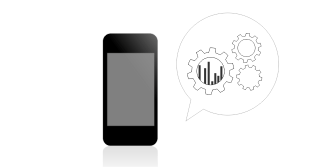 We specialize in the monetization of mobile applications - we advise which method will be most effective for you. 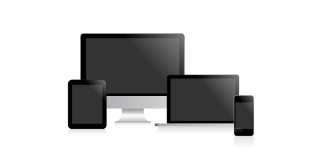 We develop mobile applications for smartphones and tablets. 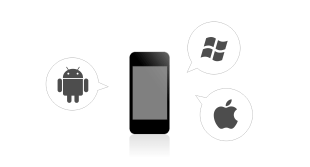 We design and program applications for the most popular systems - iOS, Android, Windows Phone. Among many others, we create dedicated applications for business, sales representatives of various industries, as well as commercial mobile applications. We specialize in developing web applications, both commercial and business. We focus only on efficient and user-friendly applications. We use the latest technologies and trends in development. It is precisely to web application will be buttoned up. We specialize in designing graphics for mobile and web applications. We always start from the core which is UX Design - User Experience Design. We are working on usability, comfort and building user satisfaction. Then we move on to the UI Design, User Interface Design. We close the whole concept in a friendly and beautiful interface. UX design, or User Experience Design - We design usability and user experience. 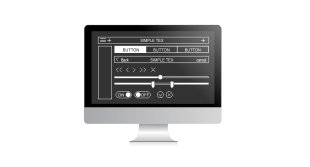 UI design, or User Interface Design - We design beautiful interfaces of web and mobile applications. We do audits and checks of existing mobile and web applications. We look for the bottlenecks, unwanted errors. We check if the applications were made in accordance with best practices and guidelines. Write to us. We will work together custom-made mobile solution. AppReal.net Sp. z o. o.